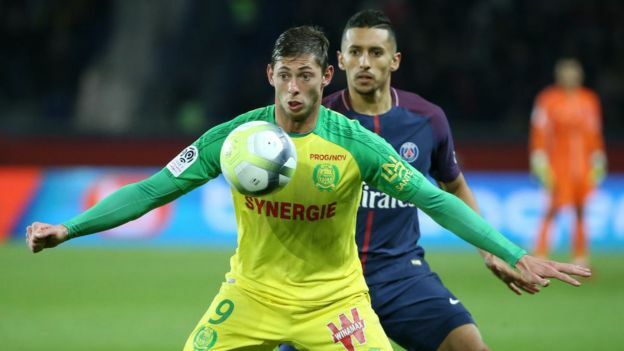 There is “no hope” of finding missing Cardiff City footballer Emiliano Sala, a search and rescue officer has said. 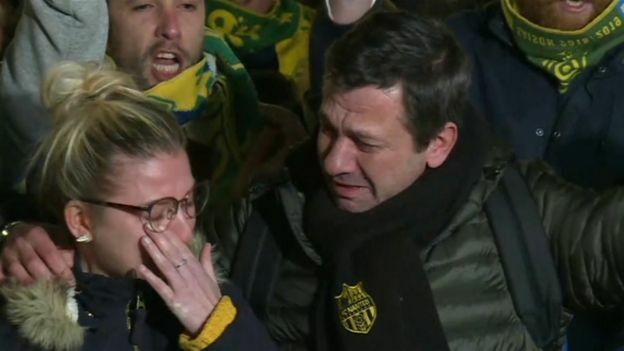 Sala reportedly sent a WhatsApp voice message to family, saying he was “so scared”. As of 11:30 GMT on Wednesday, Guernsey Police said there were three planes and one helicopter in the air as they searched for traces of the Piper Malibu plane. The force said it was also “reviewing satellite imagery and mobile phone data to see if they can be of any assistance in the search. So far today nothing spotted can be attributed to the missing plane”. “Our search area is prioritised on the life raft option,” the force said. Jersey’s inshore lifeboat is following up on reports of debris in Bouley Bay, which is in the north of the island, and a French military jet will join the search, which is likely to go on until darkness on Wednesday. 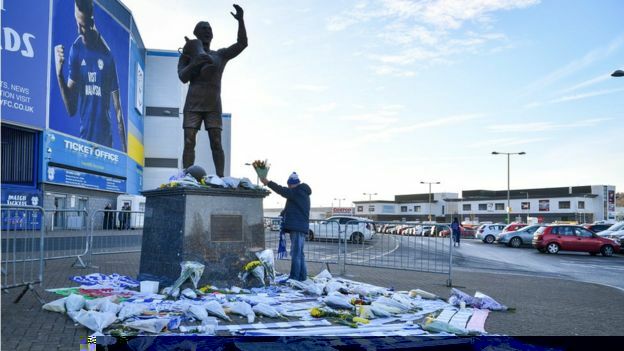 Overnight, football fans in Nantes laid flowers at a fountain as a tribute to Sala and the plane’s pilot with floral tributes also left at Cardiff City Stadium. 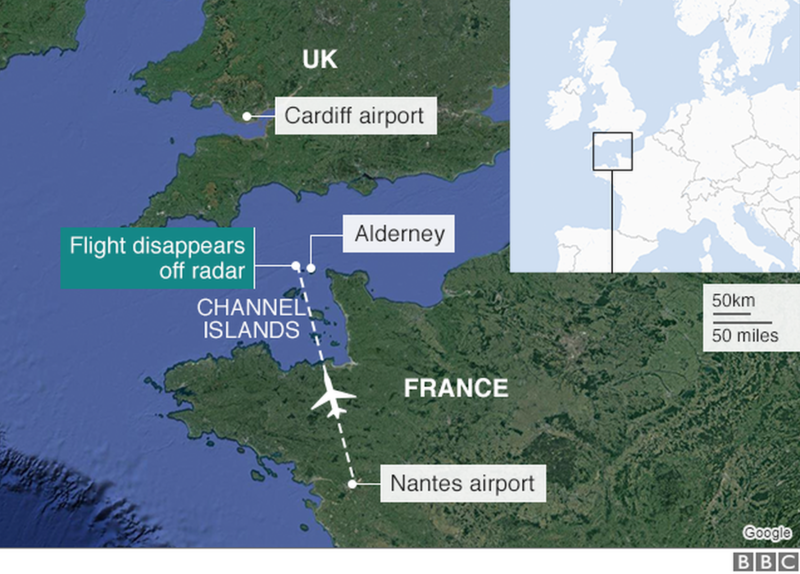 The single-turbine engine plane left Nantes, north-west France, at 19:15 on Monday and had been flying at 5,000ft when it contacted Jersey air traffic control requesting descent. The Air Accidents Investigation Branch (AAIB) said a PA-46-310P Malibu aircraft, registered in the United States, had a pilot and one passenger on board.